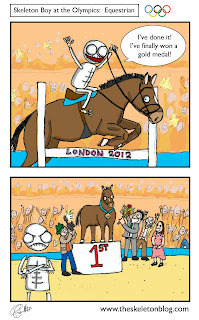 Horse Riding is a weird sport for the Olympics. It’s basically a test to see who can train the best horses. It’s like Krufts but with horses. 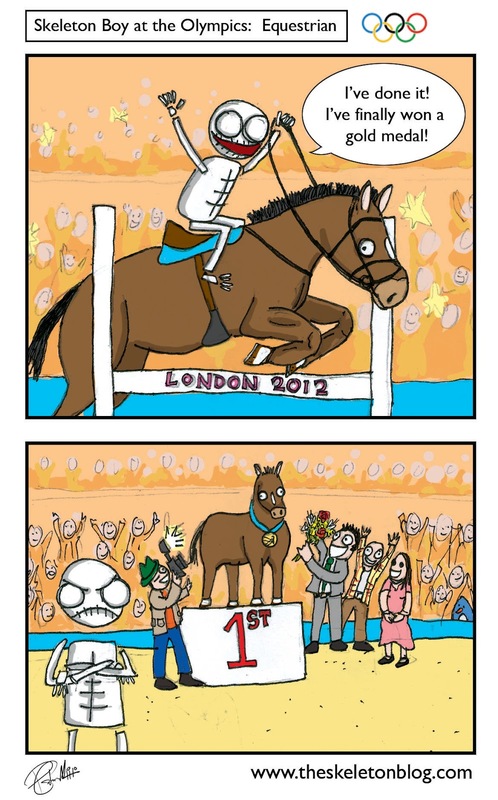 The thing is though, the horses don’t have to be from the country competing. So France could have a German horse winning a medal for France! Mental! I think each country should have to enter an indigenous animal to ride on instead. The Indians could have Elephants, the Spanish could have Bulls and the Chinese could have Pandas! Oh the Pageantry! Here come the Scotts riding their enormous Haggis! Hurrah!